Regardless of his reputation, Danny Dyer has been one of the most bankable names in the British film industry since hitting box office gold with The Football Factory ten years ago, thanks largely to his loyal army of fans snuffling up DVDs of everything he’s been in. Distribution companies have siezed upon/exploited this desire for Dyer by buying up the rights to his lesser known movies and, regardless of their actual content, repackaging them as Nick Love-esque lad-fodder. Here is just a small selection of these wanton re-imaginings (original posters/packaging on the right, the DVD re-releases on the left). Now, I’m no weapons expert but (a) that’s a pulse rifle from Aliens that Danny is holding and (b) Tamer will be lucky to squeeze off more than just a few rounds before he loses his fingers in the spinny barrel of his weird mini-gun thing. Suffice to say, neither gun, nor any kind of exciting weaponry, appear in the film. 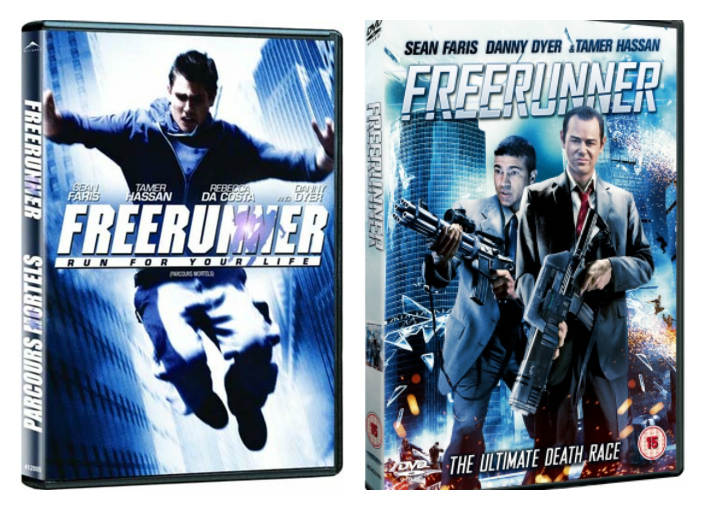 Only an idiot would fall for such a badly photoshopped DVD cover and of this I am living proof. The poster for the cinematic release neatly sums up the film’s exuberant colour scheme and air of sunny hi-jinx, the re-issue seems to be about tramp warfare. Plus, I love the way the DVD cover removes the word ‘tender’ from the Sun quote. Amazingstoke. 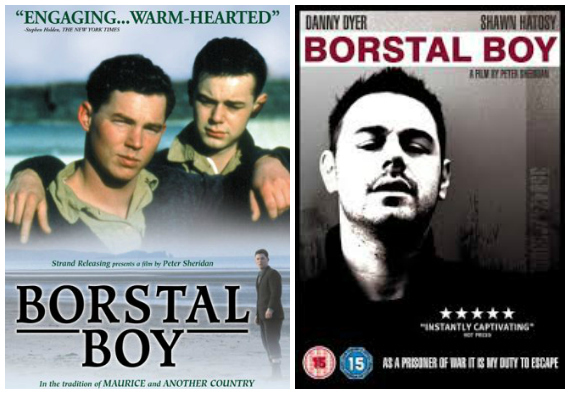 It may have been conceived, produced and released as a romantic historical drama, but Borstal Boy found an audience when it posed as the Scum remake we’ve all been waiting for. Our final example of shameless mis-selling is for today’s film, The Other Half. From terrible rom-com to Football Factory spin-off, this extreme make-over helped it shift a respectable 200,000 copies on DVD. All this doesn’t do Danny much good though as at least 199,995 of the buyers would have been left gutted that no one got a good shanking or nonsed senseless in a foreign slammer. So then, just how bad is this film? The holy binity of The Films of Danny Dyer and Straight Up (his autobiography) suggest this could actually represent the lowest point in Dyer’s film career (although we’d need James Cameron’s submarine to scientifically prove this). In a nutshell: Portugal 2004, Mark Lamanuzzi (played by Dyer) has tickets for all of England’s games in the European Championships and can’t wait to ave a right old boozy bond up with the lads. There’s a snag though, he’s meant to be there on his honeymoon with Holly, his football hating bride. How was it for Danny? In a case of life imitating…(don’t make me call this art), Danny freely admits to starring in the film primarily to watch the football, as a result this is far from his most committed performances. In a funny way though, this adds to some pleasingly naturalistic acting as it feels he basically playing himself. Despite the film being utter bobbins, this performance would garner a respectable (lower) mid-table position on a Dyer Diary ‘How was it for Danny’ league table. Say something interesting or this blog ends right here right now. In a bid to keep the budget down, the film was shot around the actual football tournament, guerilla-style. The what now? Guerrilla-style (ie without permits or the permission of the property owners), a cheeky but indispensable tactic for many low budget productions – Spike Lee’s She’s Gotta Have It (1986) and Darren Aronofsky’s Pi (1998) were both shot this way. 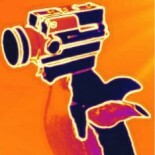 In terms of capturing a sense of time and location, few filmmaking techniques are as effective as going guerilla. The French Connection (1971) achieved its gritty, realist feel by shooting on the streets of New York, ad hoc and with zero permission. A notable recent example was Escape From Tomorrow (2013), a grotesque comedy in which a family vacation is presented as a Lynchian nightmare. It’s filming was planned and executed like a bank heist as it was all shot on the sly inside Disneyland and Disney World. In stark comparison, as the film’s events were determined by how England performed in the tournament, The Other Half was pretty much made up as they went along. (In the original ending, Mark and Holly are reunited because England win the tournament. Yes, because that could have really happened). It’s filming was no less stressful though. The actors were repeatedly sent to the most volatile areas without any security, whilst takes were often interrupted by the local police or drunken England fans screaming praise/abuse at Dyer. Considering the conditions it was made under, it’s kind of amazing that (a) they came away with any film at all, and (b) it’s probably not the worst film ever made. 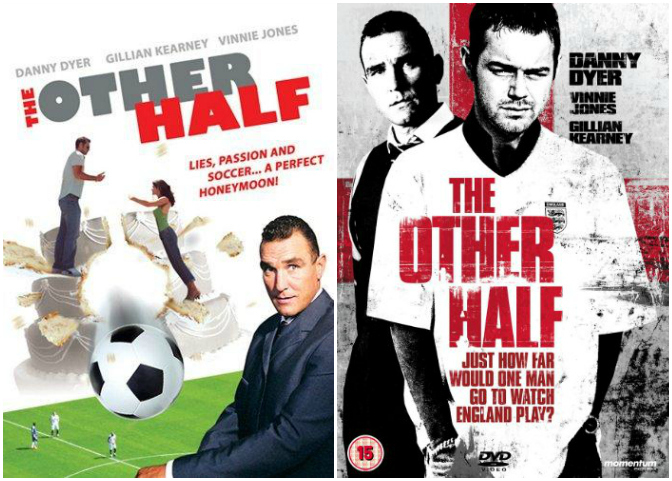 I mean, if there was a huge international competition to find the shittiest example of cinema ever, The Other Half would most likely be there representing England, and its terrible writing and absence of narrative logic would guarantee it a place in the quarter finals, but Danny’s winning charm and Gillian Kearney giving it 110% as Holly would prevent it from being hailed as the worst of the worst. Typical England, can’t win at anything. Whilst the rushed nature of guerilla filmmaking can result in some terrible takes and inconsistent performances, as well as the nagging suspicion that the narrative of how it was made would be more interesting than the film itself, there is something unmistakably thrilling about the fact that the people in the background – whether they’re sunburnt England fans at the 2004 European Championships, families mulling around at Disney World or the occupants of vehicles swerving out of the way in The French Connection‘s subway/car chase – aren’t extras at all but real people, briefly immortalised on film, just living their lives. This entry was posted on March 16, 2014 by Jeepers McCoy in Dyer Diary and tagged Charlie Bright, Danny Dyer, Dyer, Dyer Diary, guerilla filmmaking, Nick Love, Super Cool Cinema, SuperCool Cinema, The Films of Danny Dyer.